The success and pride of running a business has much to do with building a reputation. A reputation is something you cultivate over years – with steady delivery of a reliable product or service, and the goodwill and friendly relations developed with customers. Losing your reputation can be devastating for your business, and may irreparably harm it. Humans have good memories, but particularly remember bad experiences – so matter how much you might work to get your reputation back after a negative incident – it might be too little, too late. While pests are problem enough at home – they are the last things you want in your business. A business involves you putting on your best face for the world – and having a pest problem is a sure fire way to ruin that image in your customers’ eyes. Restaurants and cafes are particularly susceptible to pests like mice and rats, because of the amount of stored food as well as the potential for food scraps. Rodents may get into your food storage, ruining supplies and meaning that you can’t serve the particular dishes you wished to – disappointing customers and causing a disruption in the efficient running of a business. Restaurants and cafes are also subject to strict hygiene requirements – and can be shut down if a pest problem is picked up on by the relevant authorities. Word of mouth travels fast – and if your restaurant is known to have been shut down for poor hygiene – it’s unlikely people will come back. Maybe the worst thing would be for customers to actually witness a mouse or a rat in action in the restaurant. In the age of social media – you just know that something like that will be on the internet within minutes – and one bad review because of a pest problem could be the end of your reputation. Much the same goes for hotels, except you have additional problems – like bed bugs. There is no greater way for a hotel to damage its reputation than to have bed bugs. Not only will they cause an unhappy sleep for the customer, but the customer might even take the bed bugs home with them – creating an ongoing negative reminder of their experience in the hotel. 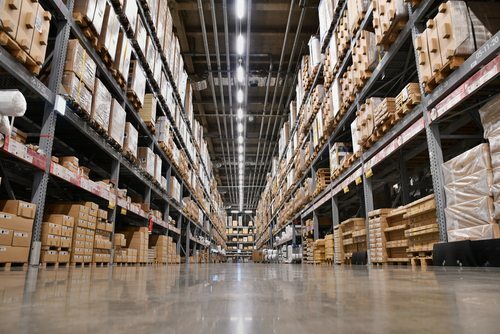 The business of a properly run warehouse is to keep products cleanly, securely, and efficiently stored. All manner of pests could affect the running of a warehouse. Rats and mice could get into stored food. Termites might eat wooden structures. Birds might get in and leave droppings all over the place. The potential for pest infestation is endless. Nobody will trust you to store their products unless you can manage your pests – and your reputation won’t last very long in this important industry. Farmers face a tough task in delivering meat and crops on time. Whether its stray foxes or dingoes killing your chickens, or caterpillars and other pests eating your crops – there is always the potential for serious disruption of your work and hence your ability to deliver your products on time to buyers. In such a time sensitive industry – failure to control pests can lead to reputational ruin. Your business is your livelihood, but also a reflection of you personally. Protect your reputation with outstanding pest control services. Contact AGJ Pest Management today.